For years I’ve watched Salesforce break new ground with its customer stories. From design to storytelling to social media engagement, the CRM company seems to blaze the trail when it comes to presenting its customer case studies. 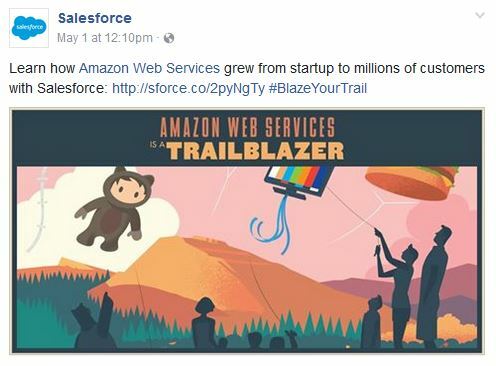 And its new customer story campaign, appropriately named “Trailblazer,” is no exception. In this case, Salesforce showcases its customers as trailblazers. 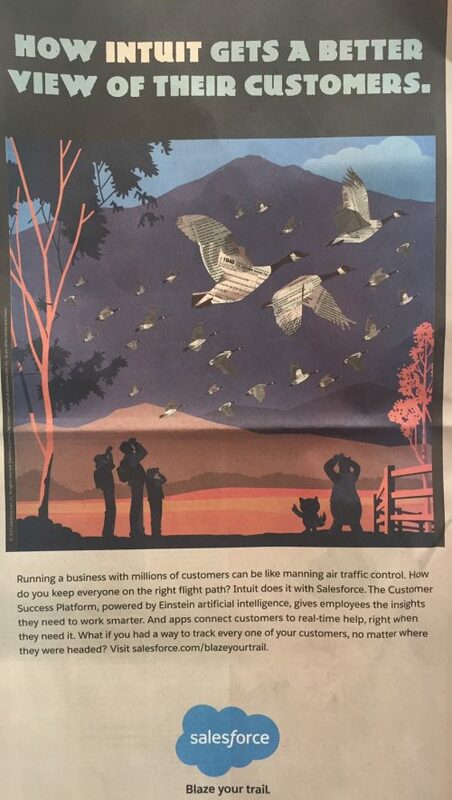 I caught a full-page Trailblazer ad featuring Intuit – modeled after old-fashioned travel posters – in a recent issue of The New York Times. It’s part of a series of equally engaging Trailblazer case studies. Check out the colorful images on the Salesforce.com website. Secondly, Salesforce features its customers as heroes. 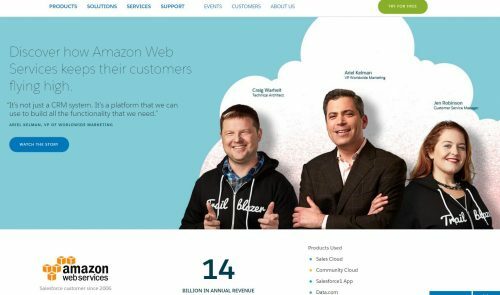 Check out what you see when you look at their case study on Amazon Web Services. 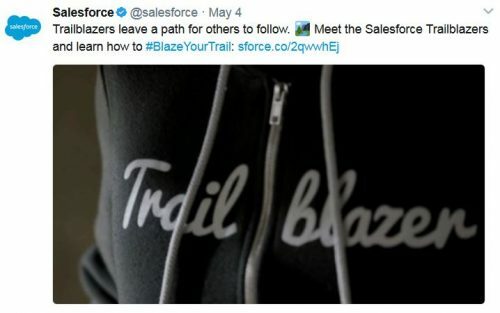 Their customers are donning “Trailblazer” sweatshirts. What customers would not want to be highlighted as trailblazers? Take inspiration from Salesforce. How can you showcase your customers more creatively? How can you highlight them as heroes?